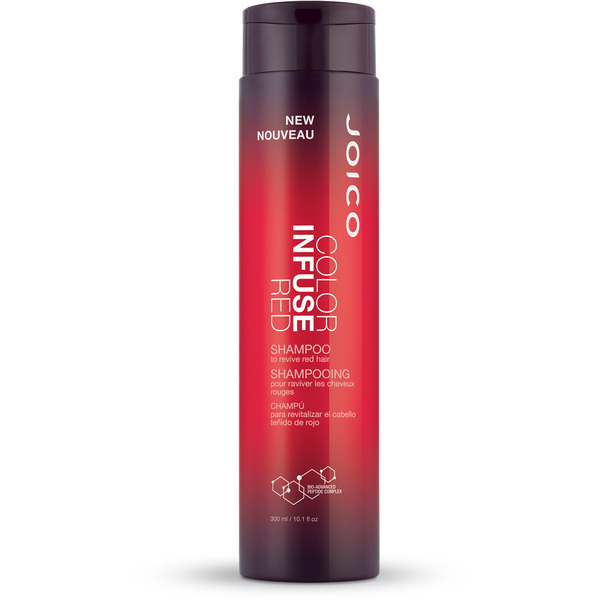 Protect the colour vibrancy of your fiery hair with Joico Color Infuse Red Shampoo, a fade-fighting formula that works to maintain colour integrity on red hair, natural or colour-treated. Working to cleanse and protect every strand, the colour-boosting shampoo utilises a Multi-Spectrum Defense Complex and potent antioxidants to help prevent fading; its UV protection locks in hair colour from within to ensure the hue stays rich and intense, whilst a Bio-Advanced Peptide Complex repairs from root-to-tip, helping to prevent future damage for up to 25 washes. 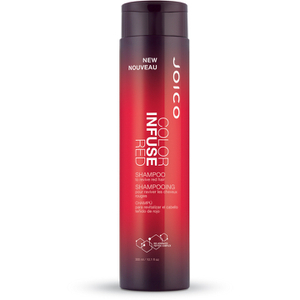 Expect soft, smooth hair with diminished frizz, mirror-like shine and vibrant colour. Wet hair thoroughly; lather, rinse, and repeat if necessary.